Ah, the things you'll do for science. In high school, you worked all weekend to build a toothpick bridge with a couple of pep-squad dancers. Now, you're called back in to duty to… eat sliced meat and cheese. Welcome to Sandolab, your new home for quirky lunchtime sandwiches and post-club meat experiments, open now on Espanola Way. 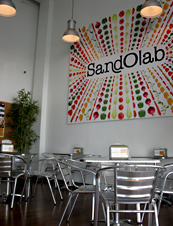 Sandolab is what you'd get if Quiznos used locally sourced produce, had a cooler-looking store and let you call the shots with a bounty of gourmet toppings like smoked salmon, prosciutto, Granny Smith apples, sliced almonds and fennel. The spot is owned by a punk rocker-turned-culinary wiz who was looking to infuse the hoagie with a bit of rock edge, so instead of the usual mayo-mustard-balsamic Axis of Sandwich Boredom, you'll have the choice of bread lubes like homemade bacon mayo, cilantro vinaigrette and fiery jalapeño Dijon (the Billy Idol of condiments). Step up to the stainless steel counter and order one of 11 proven Sandolab creations, or flex your culinary guns and concoct your own sandwich from a mouthwatering list of 9 meats, 10 cheeses, 13 spreads, 24 extras and 6 breads. Best of all, the place is open until 6am Thursday through Sunday—making it your new after-hours mortadella-and-alfalfa-sprouts hang. 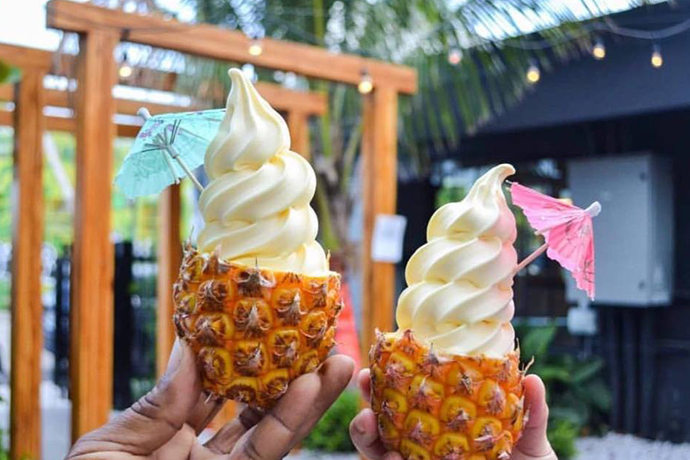 Those are so hard to find.